If you have a box full of View-Master Personal Reels that you want printed, you've come to the right place. 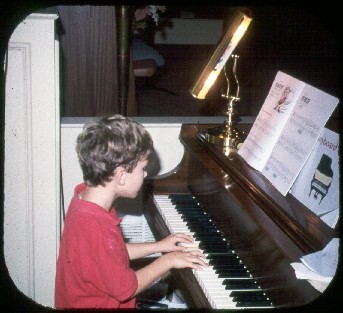 In fact I can scan and print most slide sizes (not just View-Master) at a reasonable price. Look through the pages of this site before you email because many of the common questions can be found answered on this site (especially the "Samples" and "Ready to Order" pages.) If you still have questions, email me, and I will be happy to answer them. To navigate through this site, use the Menu to the left or the links at the bottom of each page. New! - Create VM reels from Digital OR Make a copy of your Viewmaster Personal Reels. (Details) New! - Get MPO files to view your Viewmaster Pictures on your 3D TV or other 3D device. Transfer your memories before they are lost forever! See this picture and others on the Samples Page. 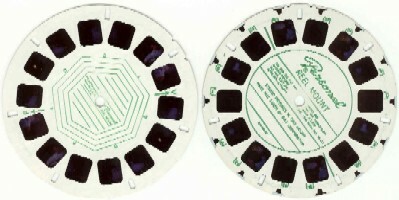 I am now pleased to offer Blank Reel Mounts for use with your View-Master Camera. And if you have a View-Master Camera but no cutter, I can Cut and Mount Personal Reels. Why use View-Master Personal Pictures to transfer your pictures?